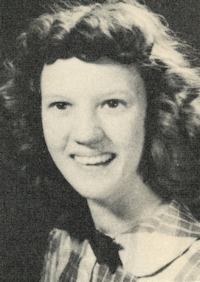 Obituary – Leatherock, Gloria Dee (Wills) « Perry High School Alumni Association, Inc.
﻿Annual Follies ’47-’48; Student Council ’46-’48; Library Staff ’45-’47; Y-Teens ’46-’48; Band ’45’48; Home Room Secretary ’47,’48; Perryscope Staff ’48-’49. 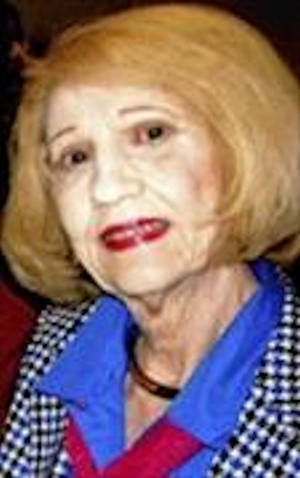 Gloria Dee Leatherock, 83, long-time resident of The Village, died Nov. 18, 2014. She was born Jan. 15, 1931, in Enid. She moved with her parents to Perry, where she graduated from Perry High School in 1949. She attended the University of Oklahoma. That same year she married Wesley A. Leatherock, also of Perry. They established their first home in Oklahoma City, where Wes was a reporter for The Oklahoman. Later they became owners and publishers of The Konawa Leader. They lived in Dallas, Austin and St. Louis before returning to Oklahoma City, where they have lived in The Village for more than 50 years. They celebrated their 65th Wedding Anniversary earlier this year. Gloria was a member of Ladies Music Club, MacDowell Club of Allied Arts, Oklahoma City Town Hall, Women’s Dinner Club, La Petite Soeur , Criterion, En Ami, and Oak Leaf Book Clubs, and St. Luke’s School of Continuing Education. She was a Presbyterian. Survivors include her husband of the home, her son Jeff and wife Lisa, grandchildren Stephanie, Kyle, Zane, River and Araina and several nieces and nephews. She was preceded in death by a son, Cyrus, parents, Emmett and Margaret (Dolan) Wills, and a brother, Bill Wills.